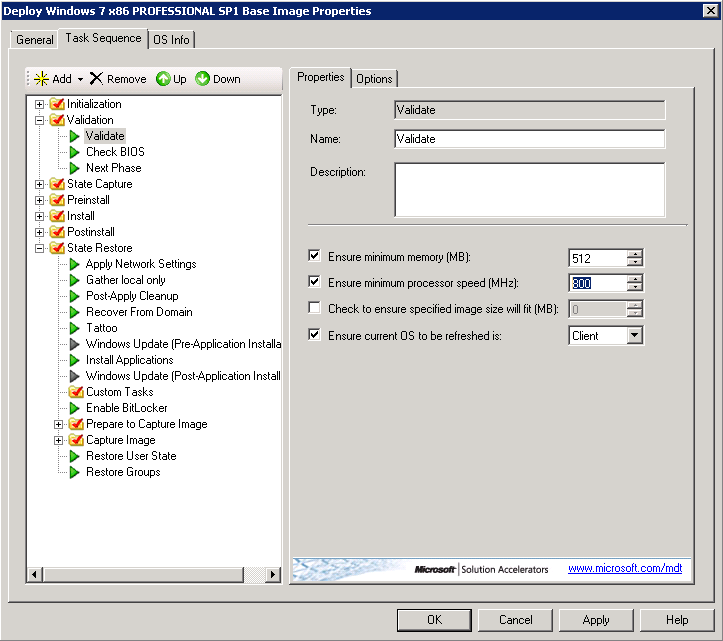 If you want to run Windows from a Virtual PC image (running on Windows 7) instead of testing on Hyper-V, VMWare or physical hardware, you will need to update the “Validation” settings of your Task Sequence. This entry was posted in MDT, Microsoft, Rambling and tagged 13MHz, 13MHz processor, MDT, task sequence, validation, Virtual PC, Windows, Windows 7. Bookmark the permalink.